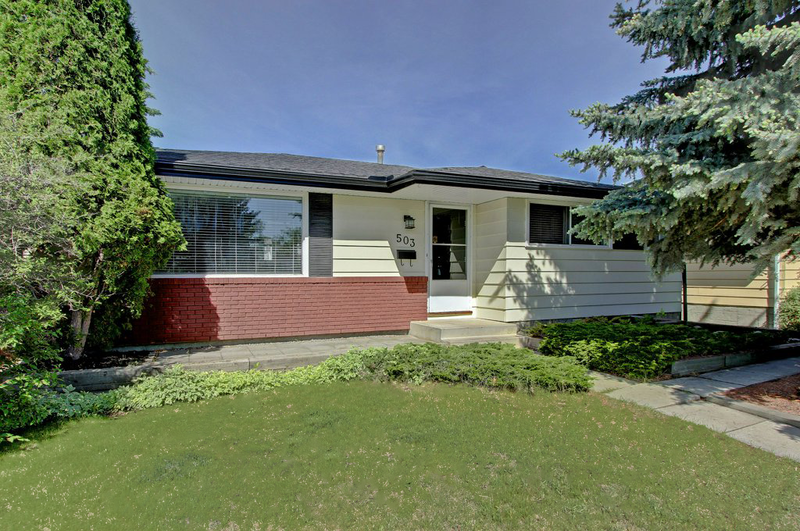 This property at 503 Canterbury Drive SE , Calgary, ABT2W 1J4 has listed by Sheri-Lee Presenger but has not been updated for quite some time. Please contact the listing agent and broker for up to date information. Incredible investment opportunity to Live up and Rent down. Single family detached home in the heart of Canyon Meadows. 3 bedrooms 1.5 bathrooms up and 1 bedroom, 1 bathroom down. Separate shared laundry and storage. Double detached, insulated and heated garage, with fully fenced yard and a new 3 tier deck. Incredible investment opportunity to Live-Up and Rent-Down! Single family, detached 1200+ sqft suited bungalow. 3 bedrooms, 1.5 bathrooms up, wood fireplace, large kitchen, dining room and a spacious living room on the main floor, with hardwood floors throughout. The basement hosts a fully finished basement suite (illegal) with one large bedroom, full bathroom with walk-in shower, kitchen, living room and dining room. Laundry can be found in a separate storage and utility area which can be accessed by both suites privately. In recent years the electrical panel, all bathrooms, basement carpet, shingles and hot water tank have been replaced/renovated. The large west facing backyard is complete with landscaping, a newer 3 tier deck and an insulated/heated double detached garage. Walking distance to LRT and bus, all levels of schools, Fish Creek Park, Babbling Brook Park, numerous playgrounds and community amenities. This is a perfect opportunity to generate some revenue or supplement your mortgage payments.